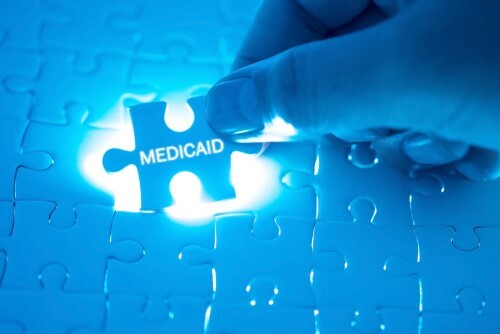 The state announced that coverage areas in its next round of Medicaid coverage will be based on county lines, not Zip codes, though there may be exceptions. The Oregon Health Authority announced coverage areas for the next round of the state’s Medicaid system on Wednesday based on county lines rather than Zip codes, which is the case now. The new designation will ensure better access for patients because coordinated care organizations will have to cover high-risk areas within counties and not ignore any Zip codes with sicker people, Jeremy Vandehey, the Oregon Health Authority’s director of health policy and analytics, told The Lund Report. The county-line requirement also enables the payers to more easily coordinate with nonprofits and county governments to address community needs, Vandehey said. Setting service areas is the latest decision the Oregon Health Authority has made related to the rollout of its next iteration of the state’s Medicaid program that covers one in four Oregonians. The decision is one of many logistics state officials need to figure out before they release a request for applications early next year to manage the next coordinated care contracts, which starts in 2020. In the next round, members will have to use the coordinated care organizations that cover their county, with some exceptions. But the state won’t limit the number of organizations within each county, and it will not force the organizations to only use providers within the county lines. Right now six coordinated care organizations have service areas that follow county lines and nine do not. The state will accept requests for exceptions to the county-wide boundary. “Some counties may have a geographic barrier and it makes more sense for someone to travel to the next county for care,” Vandehey said. AllCare Health, for example, covers two communities in Southern Douglas County in addition to the members it serves in Curry, Josephine and Jackson counties. It’s easier for those 200 members to get specialty care in Grants Pass in Josephine County than to travel to northern Douglas County, said AllCare lobbyist Josh Balloch. In order to receive an exception, coordinated care organizations will need to demonstrate how their proposed area would benefit members and how it addresses patients’ travel needs and patterns. They will not be granted exceptions if they are trying to include or exclude areas based on their financial risk. Maintaining continuity of care is most important, he added. CareOregon covers Clackamas, Multnomah and Washington counties. CEO Eric Hunter told The Lund Report in a text that the organization will continue to define its strategy around community needs. “We will always work to meet the community needs to serve the most vulnerable populations,” Hunter said.